After HTC reviewed its financial performance during the troublesome first quarter of the year yesterday, the company's chief financial officer and head of global sales, Chialin Chang, announced today that the manufacturer is actively looking for a new CFO. The new executive will sit on Mr. Chang's chair and take care of HTC's financial matters, while the current CFO will concentrate on the company's sales strategy. Chang revealed that it was not common for a high-ranking executive to take care of both of these positions, which is something he has been doing ever since December 2013. Some other sound reasons for this readjustment of high-ranking positions could be HTC's frail earnings and poor performance during the last few quarters – the company lost a lot of money and failed to bring home the bacon. Chialin Chang stated that HTC is seeking the right person for this rather responsible position "both internally and externally". Of course, Chang will only step down from his position as CFO when HTC finds a suitable successor to step into his shoes. Just as the saying goes, two heads think better than one, so let's hope that this change will aid HTC in probably its greatest desire at the moment – a financial turnaround and an increased global market share. Hopefully, the sales of the flagship, the HTC One (M8), and the mid-range Desire 816 phablet will also help HTC get back on its feet during the upcoming quarters of 2014. The manufacturer also began outsourcing production to contractors in India and China in order to further decrease the pricing of some of its products. Lol the real problem with this company is these very people they keep giving more responsibilities to. Get rid of them; they obviously are doing very little to help out their company in their struggles. Quality control. Quality control. Quality control. None of the garbage issues I get with every HTC phone I ever handled. That is the first step. From the foundation up. Substance over style not all this flashy crap that tries to cover up a very weak foundation. It might work on a HTC fans but it won't convert any other fans over. Not trolling. That is honestly what they need if they want to steal customers from Apple and Samsung. They should add some new positions that will take them to the next level: Chief Special Device Operations Officer, the "CSDOO": Responsible for making customized versions of phones for customers, including etching like with the SHIELD/Captain America phone, custom aluminum powder coating, etc. The goal is to make HTC the clear choice when you want the coolest customized phone. Chief Pixel Officer, aka "the CPO": In charge of making sure megapixels and camera quality are in line with industry or better. Seems to be a challenging issue for HTC, so they definitely need a C-level executive to handle this aspect of the company. Chief NoGimmick Officer, the "CNGO": Make sure the Chief Pixel Officer does not stray from job and attempt to sell warehouse of old 4MP sensor to customers. Also make sure HTC advertisements are not boring and dumb. And to make sure things like "Zoe" take backseat to actual high quality photos. 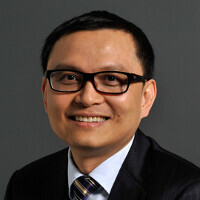 Chief Quality Officer, the "CQO": Responsible for making sure HTC build quality is the best in the industry. No more phone swaps because metal buttons aren't made/assembled right. Chief OnePlus Officer, the "COPO": Make sure prices do not get out of line by constantly comparing to OnePlus and making pricing changes as needed. Also makes sure value for money is always satisfactory. I'll do it for only 5 mil per year.